Synopsis: Tomcat implements several Java EE specifications including Java Servlet, JavaServer Pages (JSP), Java EL, and WebSocket, and provides a “pure Java” HTTP web server environment in which Java code can run. 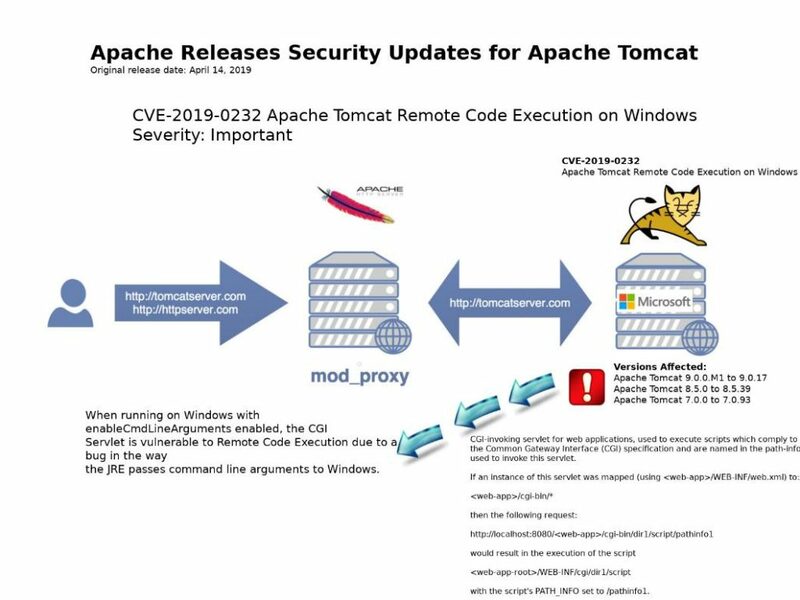 Apache Tomcat version for Windows. A design defect in function (enableCmdLineArguments), the CGI Servlet is vulnerable to Remote Code Execution due to a bug in the way the JRE passes command line arguments to Windows. But this CGI Servlet is disabled by default. Remark: enableCmdLineArguments – Are command line parameters generated from the query string as per section 4.4 of 3875 RFC? The default is false.